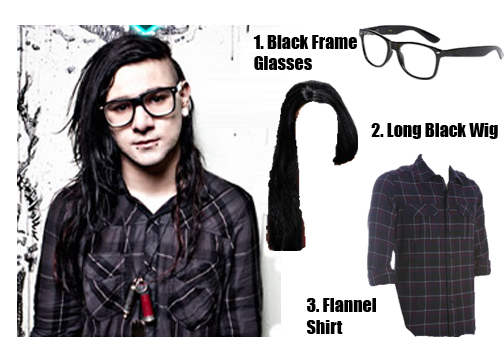 Comb over a long black wig, throw on some black frames and smile with your eyes to become Skrillex this Halloween. Add a pair of headphones and refrain from showering for a week to complete the look. 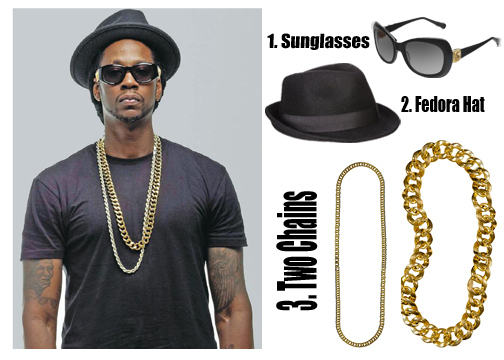 Wear one chain and leave people confused, throw on two and you’re instantly transformed into 2Chainz. 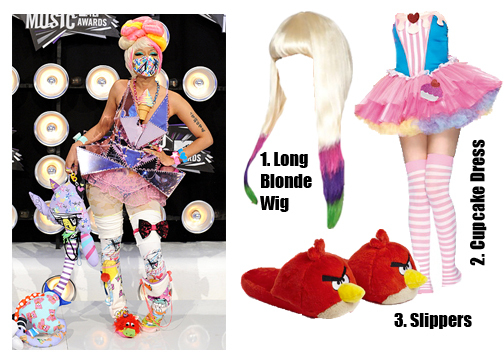 Only talk about what you want for your birthdaaaaay while in costume. Couldn’t decide if you wanted to be a rapper or a skater boy this Halloween (yes, that was an Avril Lavigne reference, and no, I’m not ashamed)? 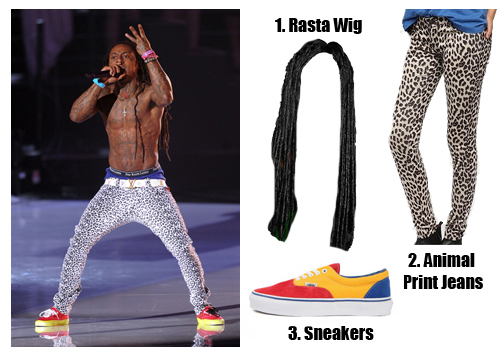 Neither could Lil Wayne. 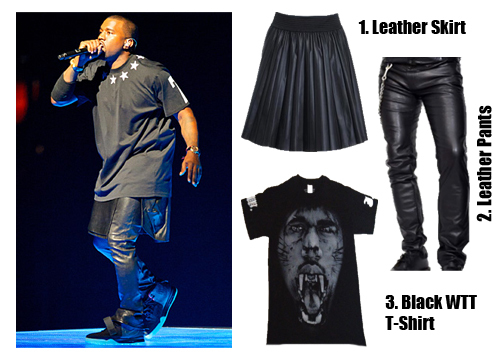 Pull on a pair of tight, animal print jeans and pull off your t-shirt to become the popular artist. Props if you can mimic his tattoos on your own chest with a Sharpie. It was good to see both of you dressing as musicians!